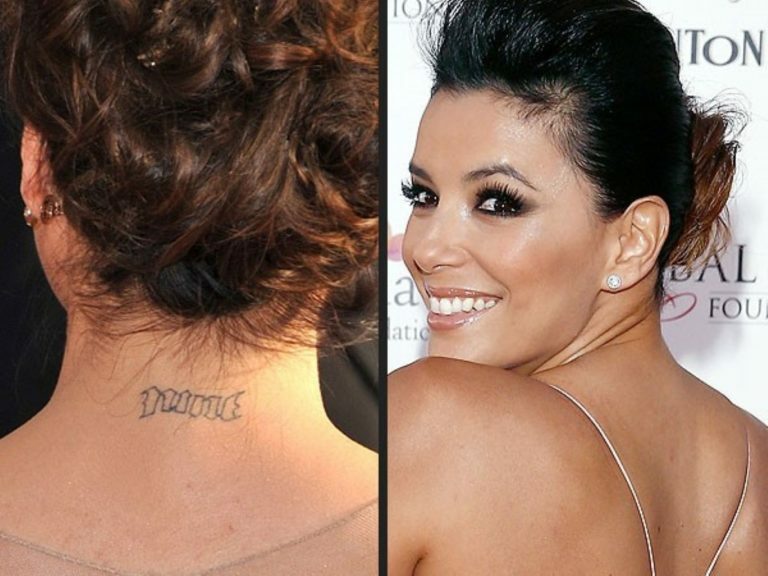 10 Celebrity Tattoo Removals & Cover Ups Revealed! Whether we admit it or not, we all love a celeb. 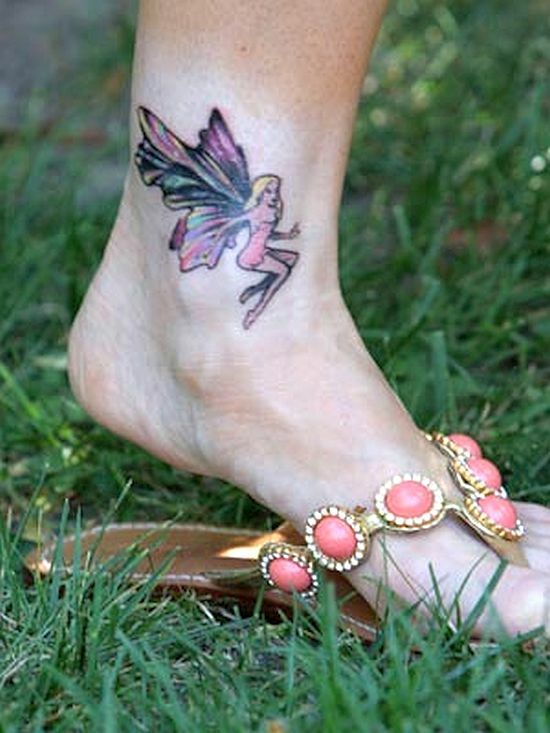 And given the popularity of tattoos, we definitely love a celebrity tattoo. Despite the fame and fortune celebrities are just as human as the rest of us. And some funny celebrity tattoo removal stories are pretty much the perfect example. At the time, that tattoo always seems like a great idea – and there’s nothing wrong with that. In fact, it’s impossible to hang out with cool, contemporary friends in 2017 without noticing just how popular ‘tats’ have become. In part, the ever-increasing popularity of seriously cool skin art is thanks to celebrities. Your favourite sports, TV, movie and musical heroes are more than likely to have a tattoo or two that you love, and tattoo artists consistently say it’s a top reason us ordinary people decide to ‘get inked’. 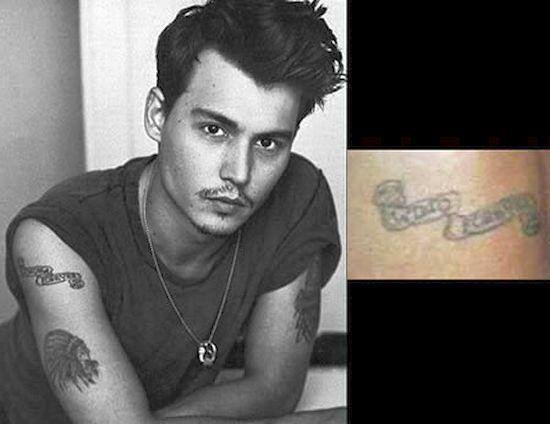 The funniest case of celebrity tattoo regret is probably Johnny Depp. In the late 80s, he got ‘Winona Forever’ emblazoned on his shoulder – but the ‘Forever’ didn’t exactly live up to the hype. Solution: Simply and effectively remove the ‘na’ in ‘Winona’ so that his tattoo now reads ‘Wino Forever’. Easy, clever and funny – and probably true. This American actress actually hasn’t had tattoo regret at all – but the same can’t be said of one of her employers. 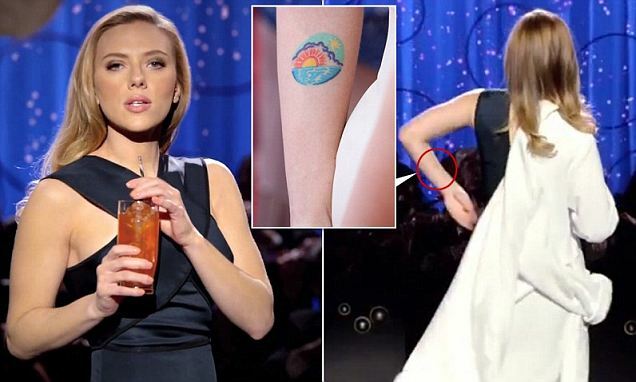 The Lost In Translation star has three tats – a sun on her arm, ‘I Heart NY’ on her wrist, and cool circles on her ankle. But Dolce & Gabbana didn’t fancy them when they retained Johansson for a lipstick campaign. Solution: Airbrush! Scarlett Johansson’s are not the only tattoos that magically disappeared for fashion campaigns. If the name doesn’t immediately ring a bell, how about if we mention her ex-spouse, Charlie Sheen? That’s right, this former Bond girl got Charlie’s name emblazoned on her foot – but then they split and divorced in 2006. Another actress with tattoo regrets after a split was Eva Longoria – and she helpfully documented her voyage back to a blank canvas on Snapchat! Eva got multiple tattoos relating to her ex Tony Parker removed, including a star on her wrist. Solution: Laser tattoo removal! On SnapChat, as she let the numbing cream do its magic, Eva told the whole world: “I’m about to have these suckers zapped off!” And she really did. Melanie was once happily married to Antonio Banderas – but like so many celeb hook-ups, it didn’t last. She was left with a lovely love-hearted ‘Antonio’ on her shoulder. It wouldn’t last, either. Solution: Through the helpful work of the paparazzi, the world was able to see just how laser tattoo removal really works – slowly but surely. Over time, and a few laser tattoo removal sessions, the Working Girl’s tribute to Antonio said goodbye to the world. As her name suggests, American actress and model Megan really is a Fox. And so she decided to pay an ink-tribute to another beautiful woman, Marilyn Monroe, on her forearm. But then came the regret, and just like a candle in a stiff breeze, Marilyn started to fade. “It is a negative character, and I do not want to attract that kind of negative energy in my life,” Fox said. She kept a couple of other tattoos, though. One declares that “We will all laugh at gilded butterflies,” while a Mickey Rourke tribute reads: “Those who danced were thought to be insane by those who could not hear the music.” Laugh? Insane? We make no comment. Another beautiful Belle who wanted to scrub out a redundant tattoo is Angelina Jolie – and it’s no surprise why. Jolie was once married to Billy Bob Thornton – and it was just one of his no fewer than six marriages. So when Brad Pitt and Angelina became ‘Brangelina’, “Billy Bob’ on her left shoulder had to go thanks to that magic laser. Once known as ‘Marky Mark’, Wahlberg was once a very wild child. In the 80s and early 90s, he was convinced of racial hate crimes, assault and even attempted murder – and did time. 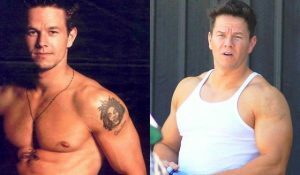 At the same time, Marky Mark was getting inked – and they weren’t great. Among them were Tweety Bird, Sylvester the Cat, Bob Marley, and some other horrors. But when he hit the Hollywood big time, he decided to zap them off – and he took his kids to watch the laser procedure as well. We now know her as someone who posed with Donald Trump’s severed head. But before that, she was an edgy comedian with a heart of gold who felt so good about marrying Matt that she got a wedding ring tattooed onto her ring finger. … But she got divorced. “I tried to get it lasered off five times and it won’t come off!” she lamented. Perhaps she should have jumped on a plane to Sydney and tried Renude’s latest technology that is faster, safer, healthier, less painful and more effective on every single colour. But hang on just a moment … Johnny Depp?! Didn’t he feature as number 1 already in our celebrity tattoo removal list? He sure did! 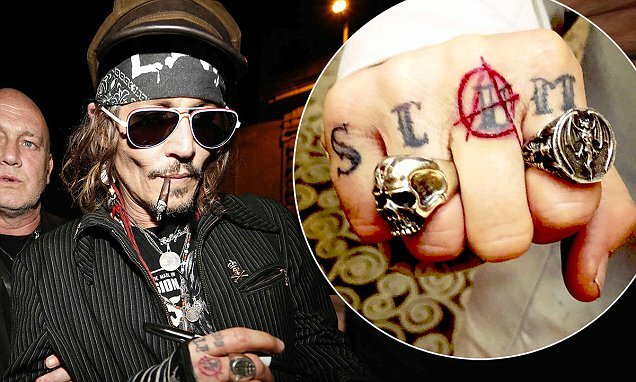 But the guy just wouldn’t learn – and so we’re paying tribute to this silly-inked celeb with yet another case of Johnny’s tat regret. As a young man, he famously (and hilariously) got “Winona (Ryder) Forever” changed to “Wino Forever” on his shoulder. But when he was all grown up, he decided to tattoo “Slim” across his knuckles – the nickname for his then-wife Amber Heard. The only problem was that they bitterly divorced … so Johnny changed it to “Scum/Scam”. Do you know another celebrity tattoo removal story that made you giggle? Or perhaps your own tale you’d like to share? Let us know in the comments. Just like your favourite celebs, you too can wave goodbye to tattoo regret with fast, safe and effective laser tattoo removal that is as pain-free as possible at Renude Laser Clinic in Sydney. Get in touch today to find out more. https://renudelaser.com.au/wp-content/uploads/2017/03/celebrity-tattoo-removal.jpg 768 996 Dr Catherine MacInnes https://renudelaser.com.au/wp-content/uploads/2016/10/renude-laser-clinic.png Dr Catherine MacInnes2017-11-24 02:49:522018-11-24 18:31:2010 Celebrity Tattoo Removals & Cover Ups Revealed!